Where Did the Sun Go??? This spent sunflower hung its head over when it couldn’t see the sun. The ice crystals added to the “over the hill” state of the flower. Even under the weight of the snow and ice, the stalk remained strong. I normally do not use the presets in Silver Efex Pro, but this one (film noir #1) seemed to highlight the image I visualized. 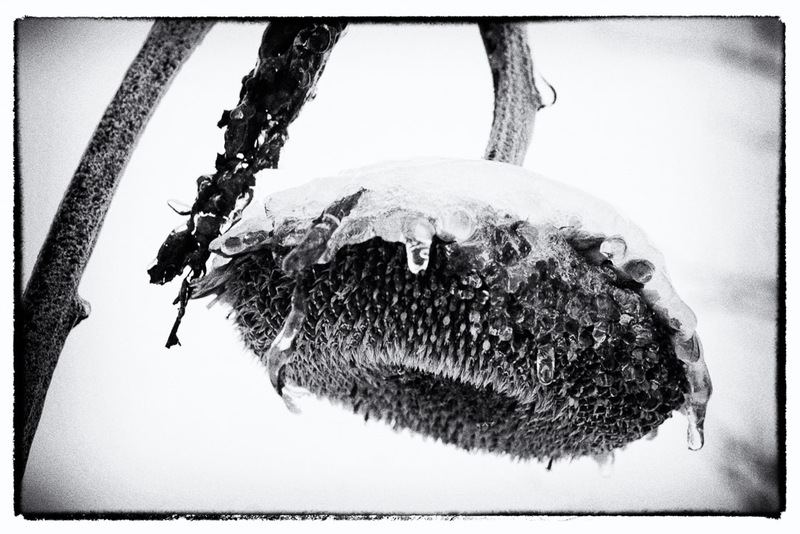 This entry was posted in B&W Photography, Flora, Our Garden, The Intimate Landscape and tagged Flora, flowers, Fountainville, garden, snow on December 10, 2013 by kgrafphoto.